All the memories of being 17 rushed over my 36 year old brain like a time warp . In the right environment this could make a grown man weep . In my opinion it is a cover version from 'Tangerine Dream - Love On A Real Train' from 1984! 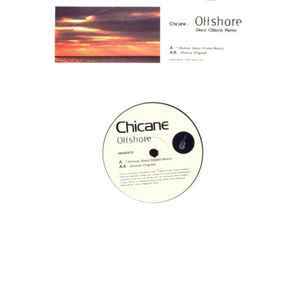 Chicane's "offshore" and Disco Citizens "footprints" (of course Robert Miles Children) are good examples you can point to where club trance of the underground became a.m sounding trance / gatecrasher / Ibiza bandwagon / bright pink double cd box sets that filled the cd bins / oakenfold type fodder / aerobic music / arena trance etc. For 30 seconds you still can enjoy the big sweeping summer melody feeling. Just sad people turned 30 seconds into 7 years of club going driving people to boredom. The original version is one for the Balearic lovers, but the Disco Citizens mix is more dance floor friendly - think of the Three'n'One remix of Energy 52s 'Cafe Del Mar' for a good comparison. This has an 'end of summer' vibe about it that means it's perfectly suited to dark winter evenings when you want to reminisce about what you got up to during the summer months.